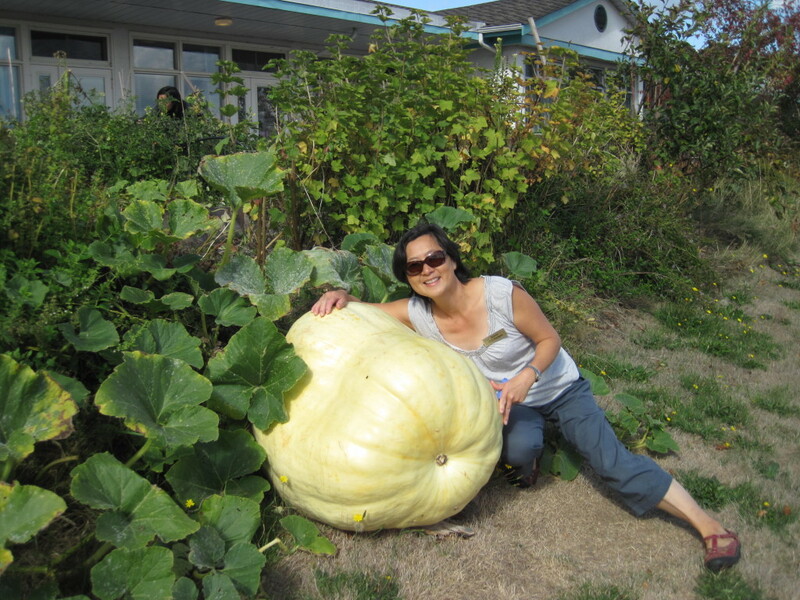 It all started with a tiny plant donated by a couple who grow award-winning giant pumpkins. 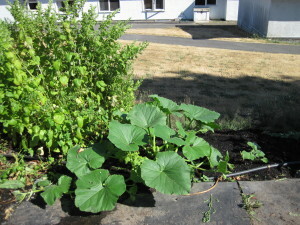 The Garden Club accepted this donation, and planted it in an area that didn’t have much going on. How big could it get, we wondered? The answer is 242 pounds. 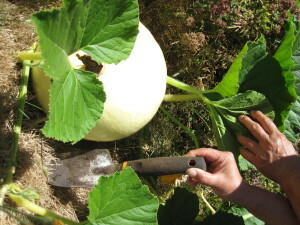 And bigger! The Great Pumpkin of 2015. 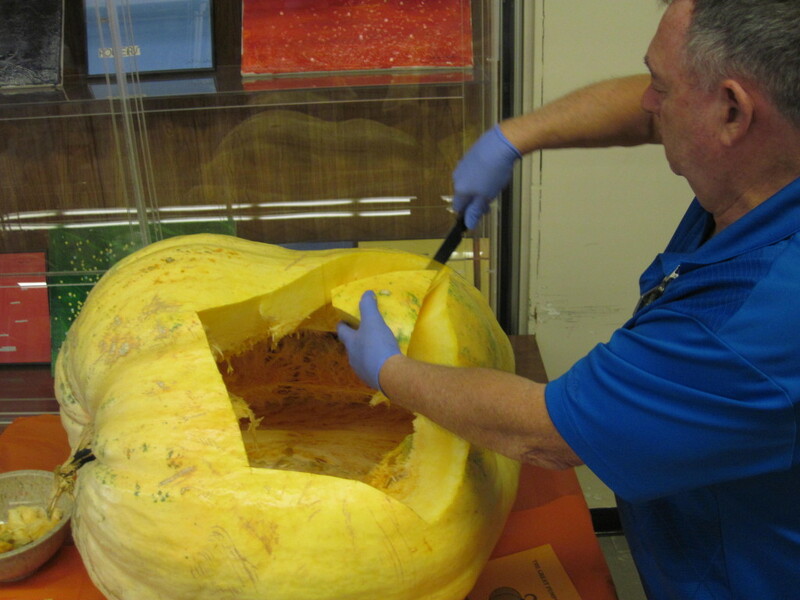 We had the pumpkin on display until Halloween, and ran a guess-the-weight contest. 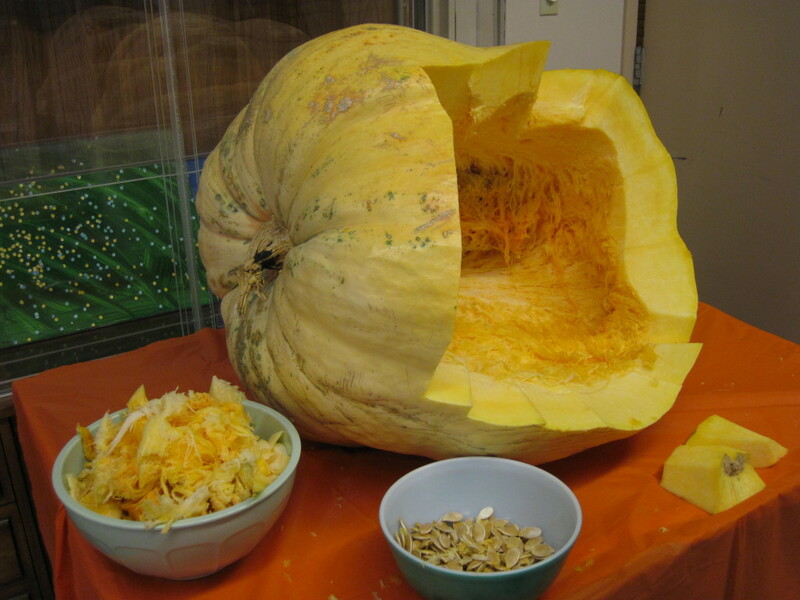 After Halloween..it was time to carve it up and eat it! 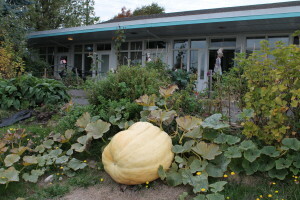 We managed to distribute most of the pumpkin around Pearson to staff and visitors. We cooked up a whole bunch for Community Kitchen too. 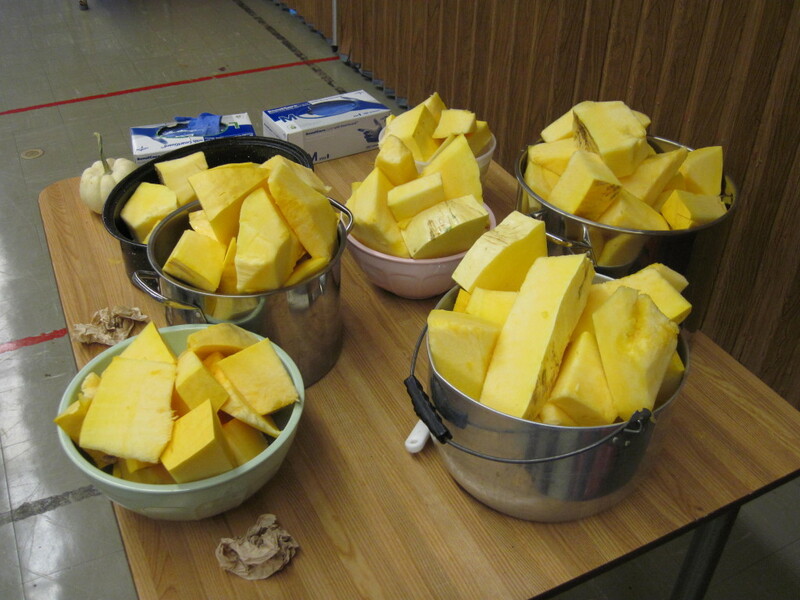 This pumpkin fed a lot of people! 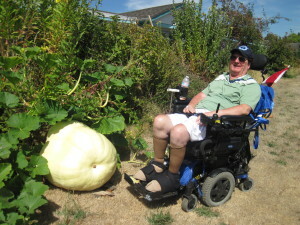 This entry was posted in disability, Garden. Bookmark the permalink.